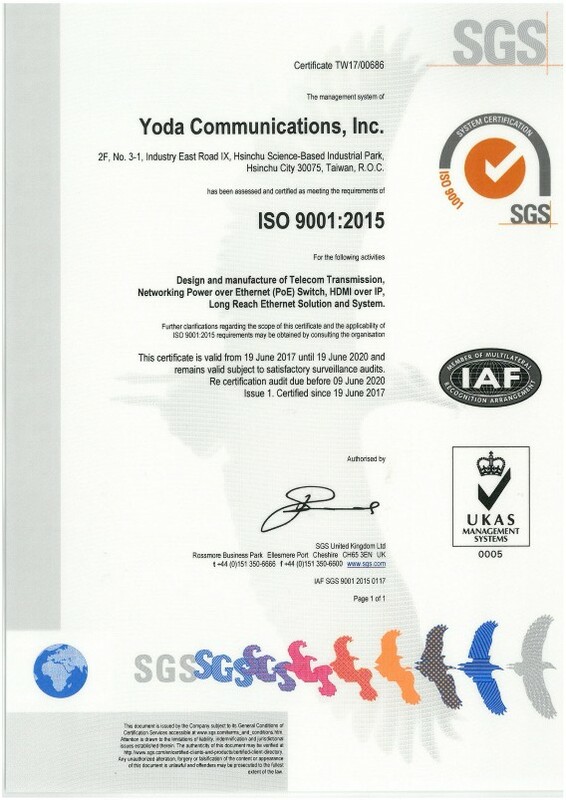 As an ISO 9001- 2015 certified company, Yoda builds-in quality and field reliability into all of its products. Quality, and more elusively Quality of Service are key criteria at Yoda, and form a benchmark setting the company above others. A rich vein of quality is visible throughout the organization and this carries through to the outstanding performance and reliability of the products. With a growing installed equipment base, Yoda believes in service and rapid accurate technical support to all of its clients and partners. The equipments are designed to be modular and 'hot serviceable' enabling both easy installation and rapid replacements of faulty units. Our aim is to keep our partners at absolute maximum uptime and only designed-in quality and field serviceability will achieve this goal. Due to a highly qualified and experienced R&D team, Yoda is fully capable of undertaking ODM projects for interested partners. From initial discussions until final delivery and after- service, Yoda manages any development project while working very closely with the partner's team. In this way we ensure that our clients get exactly the product and performance to exactly match all criteria. In today's fast moving business climate, the old customer / supplier relationships have given way to a newer and more comprehensive business style. Partnerships are the way to go for the future. Due to the increasing complexity and higher performance requirements of broadband Telecom applications in this the new millennia, only by working very closely together with a Partner can a company achieve success. Yoda realizes this fact and from the very beginning, partnerships have been a strategic goal of the company. Teamwork is no longer a goal; it is an absolute requirement.